Orange juice and grapefruit juices are the leaders when it comes to fruit juices that contain Vitamin C. Still, pineapple juice is packed full of this valuable antioxidant as well. One cup of orange juice provides 120 percent of the Daily Value (DV) of Vitamin C. One cup of pineapple juice provides 100 percent of the Vitamin C you need every day. To get the most health benefits from pineapple juice when you have a cold, fresh is the best choice. Look for ripe fruits that have a vibrant color and deep green leaves. 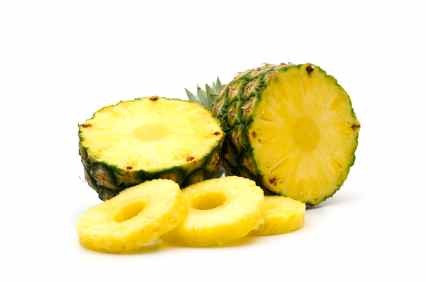 Processed pineapple juice still contains the bromelain enzyme, but it contains less than fresh.